[00:00:00] Welcome to Discover Paediatric Surgery. Andrew: My name is Andrew Grieve and I look forward to being your host today on this exciting episode. We are lucky to have Professor Henning Olsen today with us is a pediatric urologist from Denmark. And I can never pronounce his Hospital properly Aarhus, aahurs, but Aarhus, I definitely haven't got it. Henning: No one gets it right. there's obviously a lot of antenatal diagnosis of hydronephrosis does your unit get referred all the patients with this antenatal diagnosis for review or do you only see those that's end up having a problem later in life. Henning: Well it depends on and if they came from the local area, that means something like 500,000 we will see them and then they come from from outside of the country, which or referral area is something like three and a half million. They are seen in local hospitals and the prenatal diagnosis made there. And in case of a bilateral hydronephrosis, they come up [00:02:00] the questions and and often with bilateral hydronephrosis they are born in our Hospital. Unilateral hydronephrosis are born very normally and and get the follow-up after a schedule which we have in Danish Pediatric Society in the Danish Urological Society. It's very clear schedule how to handle these kind of of patients. So it's just in case in case of off bilateral hydronephrosis, then then they have to be referred to us. Andrew: So they're very early. Okay, do you ever get involved in antental counseling for these these parents? Henning: Well, if we talk about infra-vesicle obstruction means urethal valves. We are involved. Yes, because this is in some cases involve some some questions about continuing [00:03:00] the pregnancy and then the prognosis and what kind of surgery has to be done. And what's the prognosis after surgery? And what did what in general the parents have a very little understanding of course what the problem is and then they need some some discussion. Andrew: Just to give us an idea. I mean how many kids with hydronephrois that's noted antenatally, how many of those kids eventually come to surgery? Is it the majority of them or is it quite infrequent? Henning: No, it's is very infrequent, well not very but it's in the around 25 to 30 percent. We are very conservative in especially unilateral hydronephrosis. Andrew: And and I mean, you know, obviously there's a massive differential diagnosis for hydronephrosis. Do you know what portion in your unit eventually end up actually having a pelvouretheric junction obstruction out of all the antenatal hydronephrosis patients. [00:04:00] Henning: The majority the vast majority is UPJO (ureteric pelvic junction obstruction) . Of course it is, okay. You see reflex is is the next common cause of a kind of hydronephrosis but it's not so pronounced but in if you get trained in a way of looking at ultrasound their many, you know the AP diameter and they have calluses and then anything else but if you look at the ultrasound of a kidney in many cases you have in your mind. I'm going to operate right? Is it true? Andrew: Yes, you get a feel for it. Henning: Then you start out making all you know the evaluation and then in check and and so on but at the end; you will operate because you have seen it just in the very very first moment when you just open the door look at the child and then you know it okay, that's it. Andrew: yes you are right it's almost like an art you get a feel for it. Henning: a clinical view. You cannot describe as you cannot use it for however studies. It's not it's not something you can use for anything. Just your personal your personal, you know experience. Andrew: Yeah. Any what exactly is a pelvoureteriec junction obstruction. How does it develop [00:06:00] what sort of the physics behind it? hyperplasia than an atrophy and in it, It's a growth failure. And that's why because it's a growth failure. That's why only 30% needs an operation because the child is growing and in many many many cases. This condition will resolved spontaneously by Nature. Andrew: Okay. And then how often do you see extrinsic causes of of puj [00:07:00] obstructions? Henning: What what's an extrinsic you mean? Andrew: Something like a lower from the vessel? Henning: Is this extrinsic? My my question is? How many normal children have an aberrant Crossing accessory vessel to the lower kidney pole and be logical think yeah, the is sending the pelvic region and upwards and end in the ascending process. For all children lose some of the vessels and get some new vessels upstairs. Hmm. I have some always thought it's it's it's a developer knows personal [00:08:00] question. And there's a reason why we see the crossing vessels accessory vessel, whatever you want to call is yeah. See this later in life. And it's very rare than you are operating on a very young child you were you see a Crossing vessel? You see this what you would call an intrinsic obstruction are high insertion of the pelvis or whatever. It's I think it's a bit different. Andrew: Okay, so it's not necessarily causing the problem. It's more that it's you know an Association. Henning: Of yeah, it's some point of time. It's the cause for the symptoms. Yeah. Okay. If you have that they have here they Crossing vessel and you have a hydronephrosis [00:09:00] and they drink a lot of whatsoever. They do. The ureter will Kink over the the accessory vessel and then they get symptoms and vomiting and pain and the symptoms which are caused by this Crossing vessel. Of course, they are. Okay. Otherwise on these guys. You see a lot of fibrosis. Hmm. a lot of fibrosis around the the upjo and you can release this fibrosis. But essentially we will be back on this and when we come to the to operation, How to operate these think when you operate on a hydronephrosis you should always do and dismembered pyeloplasty, but we can get and go back to this later. Andrew: Yeah, we'll discuss a bit more in detail later. I mean you mentioned a little bit about some of the symptoms that these [00:10:00] children present with. I mean, obviously those are to diagnosed antenatally have regular routine follow-up, but those that aren't diagnosised antenatally, and we obviously see more of those than you do. You mentioned some of the typical symptoms, but maybe we can just go through those again and what are some of the things that they present with? Henning: Well, one thing an older nurse in our department is observed is that they start to thrive after release the hydronephrosis the newborns again their bowel movements changing and something is happening because when you're born with a hydronephrosis, you don't know what pain is because you are born with your just developed with this pain. It is pain. What is pain? Pain pain is something you; you find [00:11:00] out when you are born and perhaps it is before you are born, and it's something which is intermittent. But if your constant pain it's not a pain. It's just a condition just life is these poor children? They just they live that this condition and that's it. fluid and losing lot of fluid means reducing urine [00:12:00] production, reducing urine production resolves the problem with the kidney and then then then then the the symptoms disappear. symptoms have nearly normal differential function of the kidney, but the young ones they might from the beginning have a decreased differential function in their kidney. Andrew: Okay, thats an interesting facts. Yeah. Do you see a lot of urinary tract infections in these this group of patients? Henning: no, no, once in a while? The same as haematuria, the same is true for stones. We see more and more I think. [00:13:00] okay, the older ones all the patients are but rarely in the young ones. But but you have to ask people about them from from the from Turkey or from the Eastern Asia they have much more Stones there in even in hydronephrosis children. Andrew: Yeah. Okay. Yeah, I think it's um, there might be some genetic predisposition as well. Henning: Yes genetic or environment the you can speculate about what what's the reason is? Andrew: Hmm. Do we see these more common in males versus females left versus right or most then bilateral? What's your experience in your cohort of patients? Henning: Bilateral is about 15%. 10- 15% not more. In small [00:14:00] children It's more on the left side. Andrew: Okay, so, All right. So you mentioned that your kids with antenatal diagnosis of hydronephrosis obviously have a regular screening program and then they get referred to you only if there are problems. What some of your investigations of kids with suspected pelvoureteric Junction obstructions? What's things you guys look at? Henning: Well, if you have a unilateral hydronephrosis as you know, we do [00:15:00] it about 7 to 10 days after birth because they kidney function is not fully developed. It's better after six weeks. We do it after 7 to 10 days to get some kidney function and when when when they start drinking and voiding, okay, if we have a case of bilateral we do the ultrasound already. Prenatal diagnosed children, we do the ultrasound the day of birth just to to avoid that we are overlooking cases of infravesical obstruction. Okay means it's the walls but we will always repeat this study day 7 and then we will do depending a bit on what we find out about the four weeks old. And then again at it three months. The nuclear studies are postponed always to four [00:16:00] to six weeks due to the development of the nephrons that takes at least four weeks to get some some proper answer from the nucleus studies. And so we wait for this time and it depends of course, how much is this very rare that you think that you need to operate or do some relief just after birth in that upjo. It's very haven't seen this. Yes. I don't think so. Yeah. Andrew: Okay. Can I can I ask I mean there's you know initially when you know people started talking about doing antenatal ultrasounds in their neonates for this condition they used to always to talk about the size of the pelvis. And you know, did it have some baring on surgery and outcomes in those things and my impression is has been a bit of a move away from that. Do you [00:17:00] still find it important to see the size of the pelvis in these kids in these neonates? Henning: Well, we look mostly because of what communication courses we look most of all of the intra-renal. on the prognosis and we use AP diameter of 12 millimeters when the we call the case a hydronephrosis the radiologist the call hydronephrosis after AP [00:18:00] diameter of 10 millimeters. Both of us might be right, but but it has something to do with a follow-up. In most cases, you don't have this question. But if you have an AP diameter of seven millimeters, let's see seven millimeters. So we will make one ultrasound after four weeks and if this is true still true, we will not do anymore. We will redo not do a nuclear study we will just leave the child and that's it. Okay. So we will not make any further investigations. We will call this hydronephrosis. Andrew: I guess it's more of a screening tool then. Yeah. And we've been using MAG-3 as our nuclear study. Are you using the same? Yeah, Can you maybe just go through what some of the principles are behind the [00:19:00] MAG-3? What are we looking for? And what makes it useful in puj obstruction? at the pictures these nuclear medicine guys are doing especially in a newborn child. If you have a right-sided quite large hydronephrosis, the liver is very close and the background in this examination can be quite active close to the liver and make it gives you some misinterpretation, especially [00:20:00] in large kidneys and enlarged kidneys. assessment of the nuclear medicine and not not the truth. Yeah, so be careful be careful there. With regards to the washout. Well In smaller children, we don't rely if you have a normal curve. Normal curve means [00:21:00] like a Gaussian distribution if you remember this from your statistics, this is a normal curve. Henning: but but if you are at normal curve, you cannot interpret this as an obstruction, even if it goes up after half an hour or something like that. It depends on the size of, the size of the pelvis. If you have a bath tube on one side and just then one normal wash hand wash on the other side and you have the same amount of nuclear activity in both of them. No matter what if the if the drainage is the same; the activity will sustain in the large system for much longer than the other system. This does not mean that there's an [00:22:00] obstruction. Okay. So quickly the same the same drainage on both sides. Henning: Therefore the disease side needs to drain much more volume to get rid of the activity. Okay. Be careful interpretating large systems with the halftime or anything else? Henning: Forusemide might might help you a bit. If you get a kick after furosemide you can be quite sure that there is not very much obstruction. Obstruction is not absolute. It's not a complete obstruction. It's a obstruction is a degree of obstruction if there is obstruction. There Is no established washout time the literature regards to children in contrast to adults. In adults you have established [00:23:00] washout times you should rely on but but in children there's no literature about the the the real washout time. The preferred washout time. They're not good studies on their own pace. Andrew: Okay, so we just bear that in mind obviously when we interpret the MAG-3 tests. Have you been using or you're tempted to look at MR urography with gadolinium? Henning: We have been tempted a couple of years ago, especially because the the MRI urography was was kind of way of to estimate the differential function in the kidneys, but a few years ago in Denmark, we had Scandal about the gadolinium with some adult patients. And with insufficient kidney function they get a lot of fibrosis and symptoms after gadlolineium in a very [00:24:00] few patients, but you know how things are once you have this story in the newspapers, then it will hang on and since then it has been forbidden to do to any kind of these gadolinium, especially not in children. So this is not an option anymore. We use MRI for without gadolinium for some some reasons if you have unclear Anatomy for for any kind of dilation of the upper urinary tract, but not a routine. No, of course not. whether we either going to watch the patients or we going to consider offering them surgery. When do you make that distinction? What kind of things are you looking at to make that decision? We do operate when the differential function on follow-up decreases more than five percent. Henning: If there is a huge progress on ultrasound and then you might recall the statistics from Great Ormond Street. If you have an AP diameter of more than 35mm to 50mm in the intra- renal pelvis. Then we find the indication we discuss the indication for surgery. [00:26:00] Andrew: And on your first MAG-3 if there's a big difference in differential function between the two kidneys. Would you consider it then or would you still watch them to see what's happening? Henning: This is an ongoing discussion. If you our limit for normal differential function is 40%. In Copenhagen it is 42% and somewhere else might be something else. This is yeah, there's not going to be really really clear where it should be done. We follow always the children. If you are born with a differential function you have a hydronephrosis , hydronephrosis. Significant hydronephrosis means something like 20 millimeters and AP diameter and then you get come out it for six weeks with a differential function of let's say 38% we will not operate. [00:27:00] We will operate if the follow-up shows us that the differential function is decreasing. If It is decreasing this may be too late. Because the differential function of 38% maybe a sign of we are losing some nephrons. Henning: Remember that the kidney is normally working on 30% of it's capacity and if differential function decreases, this is critical because then the child might be in ; the kidney might be in danger. This is an ongoing question and. But on the other hand, you have children nothing happens and in the the the differential action may increase after the 38 percent to 42, but when you talk about differential function, you have to talk about the function of the contralateral [00:28:00] kidney. Yes, it's the balance and it's not the absolute number. Hmm. It's always that balance. So when it's to be very careful in this interpretation of these differential functions, especially if you don't know the complete kidney function, but it's very difficult to detect the precise total kidney function and the potential of of the kidneys in a child. Andrew: Yeah, absolutely. I mean, but then with that in mind, let me I mean, how do you approach kids with suspected bilateral pUJ obstruction? Henning: Well, there we are of course much more aggressive. If they have bilateral hydronephrosis and the hydronephrosis is significant. We are very prone to to do surgery. After VCUG [00:29:00] and after I do complete you know follow work up of the child. Cystoscopy and all these things we normally not will do with it with hydronephrosis a single hydrophrosis were not do any VCUG. The effort if the ultrasound guys are sure that there's no dilated dilated ureter and problems with the bladder. Andrew: Yeah. Okay, and so I mean you mentioned briefly but it what's your operation of choice for children with puj obstruction? Henning: So dismembering. The Anderson Hynes procedure in principle. Yes there are many other procedures which kind of emergency procedures but you never should rely on this Foley or xy plasties? I have tried it a couple of times. I have paid for this don't do [00:30:00] this. Andrew: So it is much safer just to restect the whole section. Henning: There are so many variations in the UPJ obstruction and UPJ Junction obstruction. You see when you operate them and if you think you can do it; sometimes you think you just release the fibosis around and the kinking and everything looks nice. Don't do this.Cut and dismember . And you're on the safe side. It's my message from here. So after doing a couple of hundreds of these guys; dismember. Andrew: So you were talking about obviously resecting the obstuction and doing a dismembered pyeloplasty. Henning: I didn't say anything resecting. Andrew: The, the dismembered pyeloplasty; do not take a section of the obstructed [00:31:00] section out? Henning: Not necessarily because when you do a proper dismembered pyeloplasty you go distally follow the obstruction and then at least during the operation; don't resect it, because you can use this as a handle when you are moving around with the ureter. Leave it on the ureters the obstructed part. And use this as a handle when you are suturing and doing your anastomosis. Otherwise, you will touch the ureter. Don't touch the ureter during operation. It's just makes an edema of the mucosa and makes it much more difficult for you. So just just leave this thing and I've learned this with minimal invasive approach. Just just leave it and at the end; It's just something tissue that hangs around up there you can cut it off and if it's too much and it's just a bit small small [00:32:00] thing than then you just leave it there. It's doesn't matter anymore because you are moving to healthy parts together and it will work. Andrew: Do you taper the pelvis at all? Henning: Depends, it depends on the size of the pelvis the place of insertion of the ureter into the pelvis. So sometimes I taper the the pelvis, but in many times I'm just leave it as it is because this is plastic surgery. Its looks nice if you doing, but but it doesn't help anything. If it is large, a large pelvis should be reduced certainly but an average hydronephrosis is not necessary.I don't think so, especially small children because the hydronephrosis, the external part of the [00:33:00] dilated pelvis will shrink. Will shrink at the moment when you dismember. We see this normal it is just disappearing. Andrew: When is is not under pressure anymore. Henning: If you have an old old lady with the hydronephrosis, you have to you have to reduce the pelvis because this is tissue which has been there for many many years. But but in small children, it will just retract. Andrew: Okay, do you routinely leave a stent or a Double J stent after your pyeloplasties? nd the nephro ureteric stents are prone to occlusion due to small blood clots. The disadvantage especially in smaller children and in chldren in general is that if you have you have a double J. You have to remove it in general anaesthesia. Yeah. Well, they're the blue stick can be replaced just by the general practitioner or somewhere. Andrew: But I mean do you use those stents particularly because you do minimally invasive technique or would you use that even if you did open? Henning: Were you use a stent in open surgery as well. I know that that that many people, a lot of people not many people, but some people leave; do not leave a stent at all in the small ones. At least and well I sleep better with the stent. Andrew: How long do you leave your stents in? Routinely then? Henning: It JJ- 4 weeks [00:35:00] and the blue stent the nephroureteric stent for a 7 to 10 days. Okay. Okay. Don't ask about the evidence for this. There's no evidence. Andrew: Okay, so I believe you guys have got a robot. Have you found this as improved your outcomes, or is it just a nice toy? Henning: Essentially, it's a nice toy and it's it. Yeah, but but don't don't be impressed. We have been doing robotic pyeloplasty is now for 18 years. From the very very very beginning. It was number our robot was number three in Europe and was very early. We got the the robots because the cardiac surgeons at this time had the money to buy robot, but they couldn't use it. They couldn't handle the heart and then [00:36:00] the, the cardiologist came with all where staff and so they stopped to use the robot and I just took the robot and put it in our department and ask afterwards about the costs. So keep the robot is good for suturing, it's certainly good for suturing the outcome is the same. The outcome with regard to older children is better because you don't make this quite large incision. My hands are quite large. If you have to go in a lets say 13 year old boy going up there and the left side my hands inside doing a doing dismembered pyeloplasty. you could down there the kidneys very low. You just pick it up and do your dismembering that's it. So in small children and infants, we make an open approach and the older ones above 10-12 kilograms. We make the the robotic approach. And the robotic because it's easier for me for us to do to the the suturing. In the beginning we made made all these things were in the 90s. We made it with laparoscopic approach, but there's so It's [00:38:00] so difficult. Robot is easy. It's because it it sounds too good, but it's very easy to do robotics. It's it's just suturing without instruments. Andrew: And as I said the just the money as the limiting. Henning: There is no evidence robotics improves the outcomes. 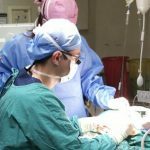 Besides the fact that the incision is made less and you have a shorter stay of hospital and and the pain is less and so on the normal things that you have the minimal invasive surgery, but the outcome in terms of recurrence and then position I don't think it's better. No. Andrew: Okay, we can you maybe just mention just what are some of the complications related to the surgery for pyeloplasties. disappear and keep around the anastomosis. while if you have transperitoneal axis if you have a leakage who had at least smaller leakage, you will get kind of paralyzes of the bowels after the operation due to the urine into the peritoneum. Other complications that usually related through these stents making occlusion and not working and things like that. But other normally it's it's a quite, quite safe [00:40:00] operation. It's bleeding is not an issue. Not at all. Infection is extremely rare. Scarring yes. But some kind of it's a wound infection and I don't think I have seen this. But this is different perhaps from your country don't know but this is extremely rare. Wound infection. It's not seen. Andrew: Good. What what? What's what would be your take-home message for people listening. when you do surgery in to decide to do surgery to this dismembered pyeloplasty whenever possible. [00:41:00] This is I think the most important thing. Then you will end up with good results. Andrew: Excellent. Thank you so much for your time. I appreciate you giving us the your vast experience and different perspectives on some of the things to what we have; we dream one day of also getting a robot. Henning: Thank you so much but remember this truth? It's not the truth. It's just my personal experience. Andrew: No. No, absolutely. No, we appreciate that. Yeah, and we wish you many many hours of Happy sailing in the future. Henning: Sailling is finished. Boat is in the haul and it's so it's no sailing anymore. We have to wait for the next year. Andrew: So what what are you going to do over winter then? Henning: Just drinking South African wine. It's the [00:42:00] only joy we have. 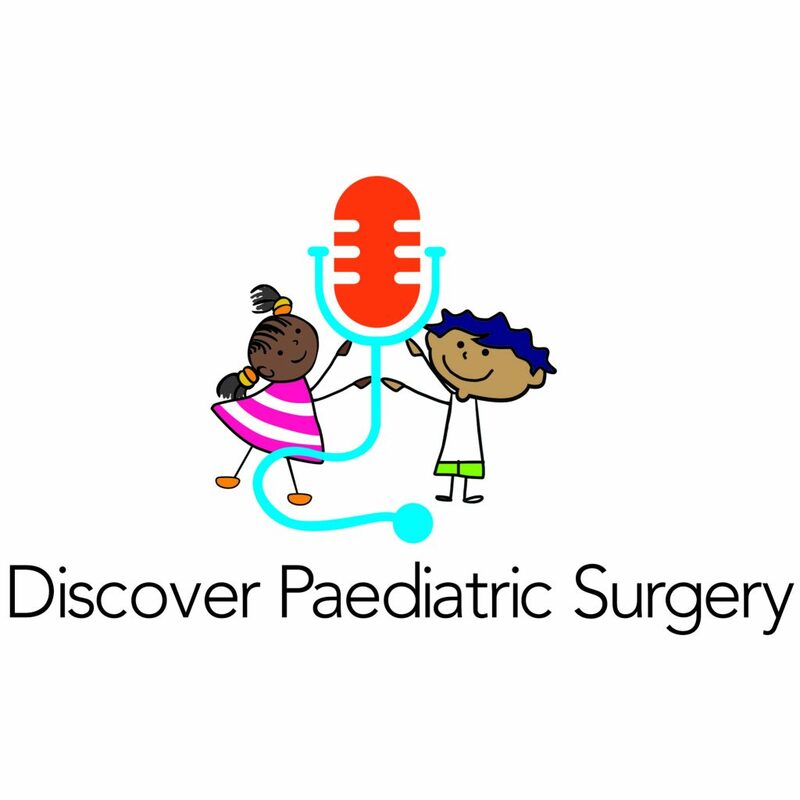 Andrew: Thank you for joining us on Discover pediatric surgery. Let your friends and colleagues know so we can all learn together.